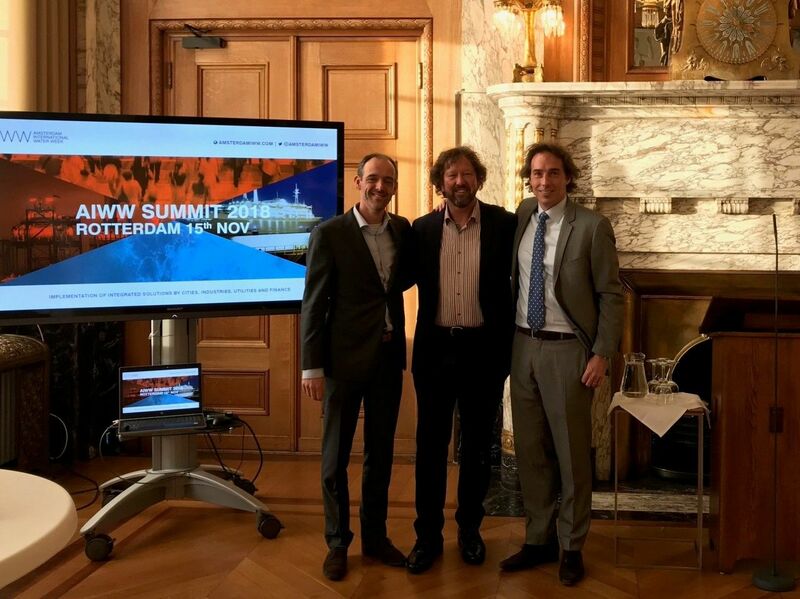 Founding Partners of The Water Agency, Piet Filet, Frodo van Oostveen and Gregor van Essen participated in the first Amsterdam International Water Week Summit, on 14 and 15 November. Bringing together 200 senior representatives from 25 countries across the water sector, the summit aimed to generate ideas and input leading up to the next AIWW to be held in November 2019. The summit provided good opportunity to present the work of The Water Agency in Asia Pacific. A timely introduction to our methodology as the summit made it very clear that the overall response to the global water challenges needs more action and more results. ​picture: Gregor, Piet and Frodo at the AIWW Summit in Rotterdam.